Sant Kabir Jayanti is observed on the Purnima or full moon day in the month of Jyeshta (May – June) as per traditional calendar. 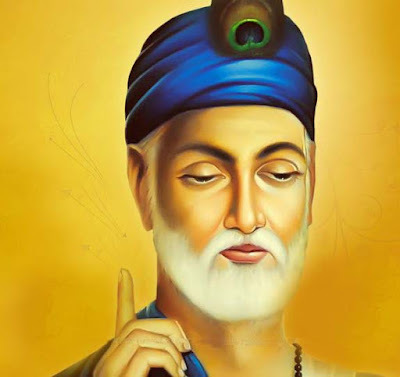 In 2019, the date of Sant Kabir Jayanti is June 17. It is believed that Sant Kabirdas was born on this day. The birth anniversary of Sant Kabir is observed in India and around the world. Meetings, satsangs, and recital of Sant Kabir’s poems are held on the day. Sant Kabir was a revolutionary saint and poet and religious reformer who refused the tag of a particular religion by accepting all religions and by propagating that the same Supreme Being appears in all religions. Kabirdas called himself the child of Lord Ram and Allah. He is believed to have lived during the 15th century AD. A weaver by profession, Sant Kabir wrote numerous poems extolling the greatness of the oneness of the Supreme Being. He was able to weave simple philosophical thoughts into his Dohas which were easily digestible by the common man who was always kept aloof by the scholarly class from philosophical discussions. The poems of Sant Kabir are famous for its thought provoking content and inspirational teachings. They have a universal appeal and attract every generation with its simple similes, questions and philosophical ideas. When searched myself, “I” found the crooked one. Jaise Til Mein Tel Hai, Jyon Chakmak Mein Aag. Tera Sayeen Tujh Mein Hai, Tu Jaag Sake To Jaag.